Featuring a better display, upgradable storage and an advanced Surface Pen digital stylus, the Surface Pro 3 is the winner of this vs review. However, having matched the Surface Pro 3 in performance and battery life, and featuring a more user-friendly laptop design, the MacBook Air definitely gave Microsoft's latest hybrid a run for its money and still is a significantly better choice for users more familiar with Apple's platform. Even Apple's cheapest laptop is head and shoulders above most of its competitors, and in terms of build, battery life and usability the MacBook Air 11 is an all-round winner. It's also that most unusual of items: an Apple product which represents good value for money. That screen is really starting to show its age, though, so fingers crossed that Apple brings out an Air with Retina Display soon. The 2014 MacBook Air, like the largely similar 2013 version, is all about battery life and portability. This 11-inch laptop, nearly the size of an iPad, now lasts almost as long as one, too. It could tip the balance in favor of the 11 for some. For others, though, an iPad plus keyboard might have replaced this already. Surface Pro 3 vs MacBook Air comparison: Microsoft's new tablet is impressive, but can it really replace your laptop? Overall, we take our hats off to Microsoft for its Surface Pro 3. It really does have specs that rival the MacBook Air and portability that brings it closer to competing tablets. But when it actually comes to using the Surface Pro 3 as a laptop, it's not the most comfortable of activities. We find the MacBook Air wonderful to work on for long periods of time, and with that lengthy battery life it's more suitable for full-day use. 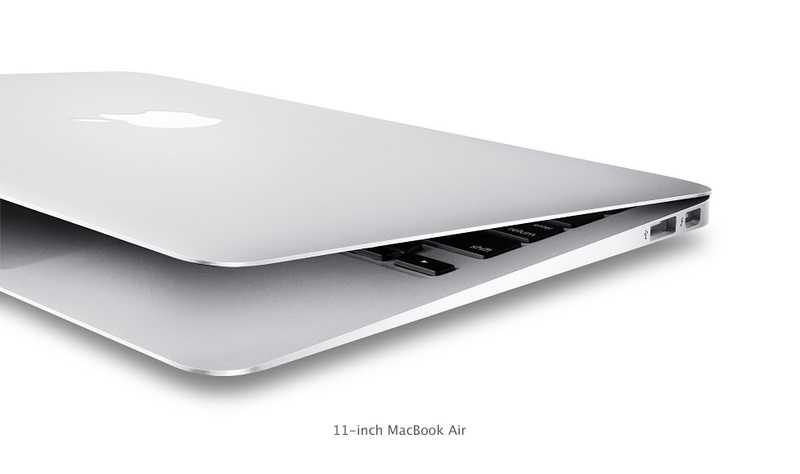 The 2014 11-inch MacBook Air aptly demonstrates the truth of the age-old aphorism, "If it ain't broke, don't fix it." Last year's $999 model delivered spectacular battery life, solid performance, and a truly outstanding keyboard and touch pad—all packaged in a sleek aluminum chassis—for a price comparable to most Windows-based ultrabooks. This is a niche device, suitable for Apple users that need both portability and power. While it’s tempting to compare it to other Ultrabooks, it actually has a lot in common with the Surface Pro 2, which has very similar specs and is built for a very specific type of Windows user. For the platform agnostic looking for thin, light, and powerful, the MacBook Air is certainly worth considering. Its “acceptable” display and other drawbacks make it tough to outright recommend over any and all competition. 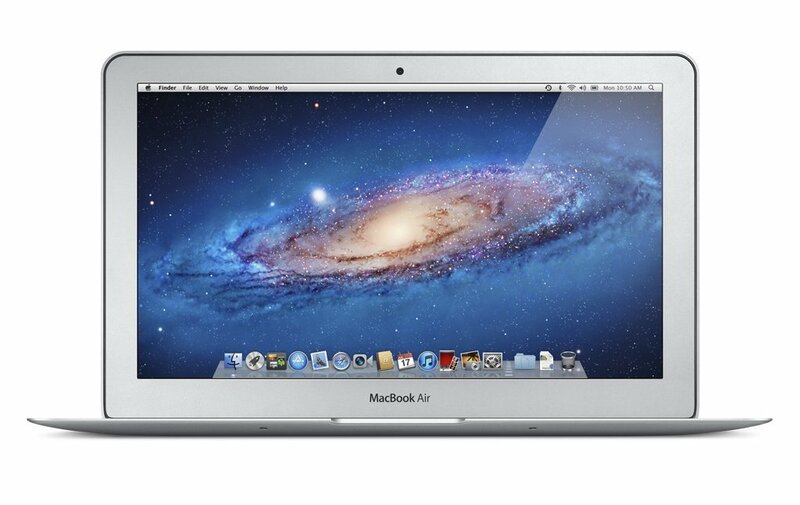 With its lower price the 2014 11in MacBook Air is a great purchase. 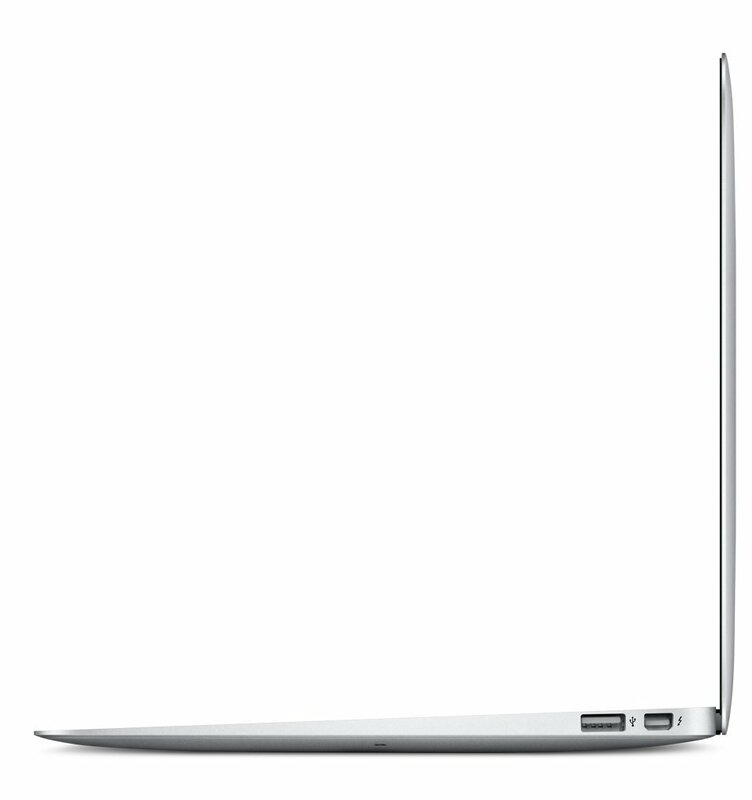 If you want the lightest laptop available there is no need to sacrifice power - the 11in MacBook Air is just as good as the 13in model. Unfortunately in some areas this year's model isn't quite as good as last year's model - the flash storage seems to be slower than it was in 2013. If you can get a discounted 11in 2013 MacBook Air from the Apple refurb store, it is still be worth considering as an alternative to the 2014 Mac Air model. If you already own the mid-2013 MacBook Air, then there's really no reason to consider this new model. The speed differences are far too subtle for you to even consider upgrading. And if you can find last year's model on the cheap, then I'd also recommend going that route. Save the money, and enjoy your shiny new 99 percent as good as this year's model MacBook Air. Positive: Lightweight and powerful. Negative: Poor display. Positive: High quality display; good keyboard and touchpad; good autonomy. Look no further than the latest Apple MacBook Air if elegance, premium feel and functionality are your list. The 11 inch, MacBook Air MD711LLB comes with the 4th generation Intel Core i5 dual-core clocked at 1.4 GHz with Turbo Boost of up to 2.7 GHz. The screen is an 11.6 inch LED-backlit panel which makes viewing on the device a joy. It also comes with 4 GB LPDDR3 1600MHz RAM and Intel HD Graphics 5000 which makes the lightweight MacBook very much capable for everyday tasks. As expected from Apple devices, the user interface is great. 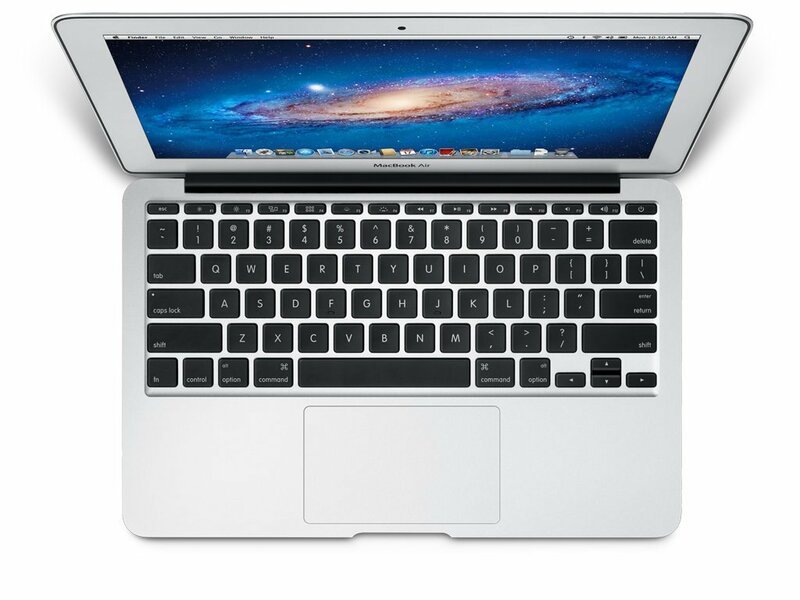 The Air features 128 GB flash memory storage and OS X Mavericks. In a good way, the design is similar to all previous versions with an all-aluminium chassis. Other hardware includes Thunderbolt digital video output, 20p FaceTime HD camera, 802.11 ac Wi-Fi and dual microphone. The keyboard sports full-size backlit keys and an ambient light sensor. 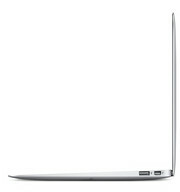 The most notable aspect of the Apple MacBook Air 11 inch 2014-06 MD711LLB is the battery life with up to 9 hours wireless web usage and 30 days standby time. 4260U: Haswell-based ULV dual-core processor clocked at 1.4 GHz with Turbo Boost support up to 2.7 GHz. Offers an integrated HD Graphics 5000 and a dual-channel DDR3 memory controller.» Further information can be found in our Comparison of Mobile Processsors.